Applicants must upload the following documents to their online application. Applications missing documents will not be considered for admission. Department Checklist. The checklist is provided in the online application under the header Documents. The checklist provides in-depth information to help applicants complete the online application. All applicants are highly encouraged to download and read this form as soon as they create an online application. Applicants are required to complete this form and upload it to their online application. Applications that are missing the form will be considered incomplete and not considered for admission. Curriculum vitae or resume. Your own personal, general resume. Two letters of recommendation. The referees must use the reference form that is emailed to them from the online application ONLY once the application opens in November. No mailed-in forms or letters are accepted. One referee must be a from an academic source (university/college professor) and the second from a professional (work supervisor, volunteer coordinator, mentor, coach, etc.). Family friends, parents, acquaintances, etc. are not suitable. If you have been out of school for several years and you absolutely cannot locate an academic reference, indicate this in your Letter of Intent and the reasons for choosing the two referees who will be submitting their recommendations. A email with a link to the reference form will only be sent to referees once the applicant has submitted and paid for their application. It is the responsibility of the applicant to monitor their application to ensure that both referees have uploaded their completed form back into their online application by the January 31st deadline. Applications that are missing reference letters will not be considered for admission. Situational Judgement Exam(s). 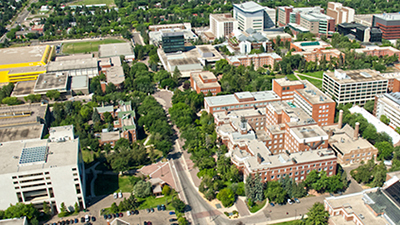 CASPer Testing is external to the University of Alberta application system, and requires a University of Alberta Application ID. Students are required to first submit their OT application (to generate their Application ID, this number starts with 160), then register for a CASPer test. CASPer test results are sent directly to the department from the CASPer agency by the application deadline. Applicants with incomplete or missing CASPer scores will not be considered for admission. Specific CASPer testing dates are listed on their website: https://takecasper.com/. Any questions about CASPer must be directed to the agency. One set of original transcripts in pdf format from each university, college, technical institute, etc. ever attended or are currently attending. This includes transfer, exchange, graduate level, part-time, distance programs, general interest courses and spring/summer sessions, even though you may or may not have received transfer credit at another institution. Applicants are required to list each institution under the education section of their application, then scan and upload all transcripts (both sides of each page) to their application by the January 31st deadline. Therefore, it is important that you request a set of transcripts be sent to you from each institution well before the deadline. Transcripts that are dated more than six months old by the application deadline date will be deemed stale and unable to be reviewed. Transcripts marked 'Issued To Student' are acceptable. Photos of documents are not acceptable. Marksheets or lists of courses and grades are not acceptable. Applicants are highly encouraged to read "Application Requirements for Academic Documents" webpage before completing the education section of their application. 1. If you are still completing your degree or taking courses: Final (pdf) transcripts showing fall term grades must be uploaded by the January 31st deadline. Failure to meet this deadline will deem a application incomplete and it will not be reviewed for admission. For instructions on how to submit your application without fall term grades please refer to the Department Checklist which can be found under the Documents tab in the online application. 2. If you are registered in any course(s) (prerequisites included), or will not convocate by the January 31st application deadline: Upload a official transcript(s) (PDF) to the application system indicating registration in the course(s) by January 31st. 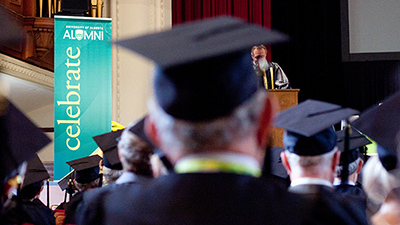 A final transcript(s) (PDF) noting completion of the course(s), and or date of convocation must be emailed to mscot@ualberta.ca by June 30th. 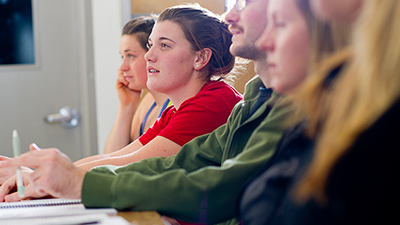 If the course(s), or degree are not successfully completed, or transcripts are not received by email by June 30th the application will be considered incomplete and not reviewed for admission. 3. If you are no longer attending ANY post-secondary institutions: Upload all transcripts (pdf) as soon as possible after starting an application. 4. University of Alberta past/present students: Submit one unofficial (from BearTracks) or official UofA transcript (pdf). Please note: A Transcript (pdf) from all other post-secondary institutions ever attended must also be submitted even though you may have received transfer credit at the UofA. Transcripts mailed to the department will not be accepted. Upon admission to the program, applicants will be provided information as to when and how to submit official transcripts (if required). International applicants must ensure that their prerequisite courses (statistics and anatomy) are acceptable to fulfill the requirements well before the application deadline of January 31st. To do this, send course outlines/syllabus to mscot@ualberta.ca for review/verification of prerequisite. Make sure to include your full name. English is the primary language of instruction at the U of A and all applicants must be very proficient in written and spoken English. 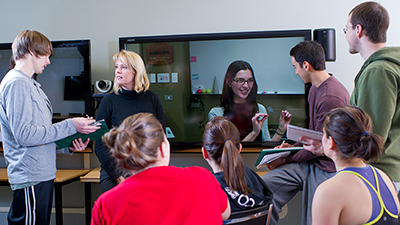 Our OT courses are very comprehensive and therefore applicants need to have a very good command of the English language. Students MUST be fluent English-language speakers to be able to successfully complete fieldwork placements. As per the Faculty of Graduate Studies and Research Graduate Manual tests of English Language must have been completed in the last two years. Test that are older than two years will not be accepted. If you completed your degree in a country or University listed on the English Language Proficiency (ELP) Exemptions list you will NOT have to provide a English Language test.